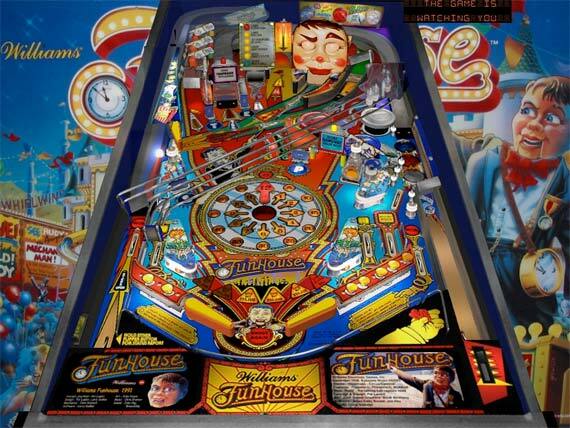 Check out these Funhouse Pinball Machines for sale. You will also find parts and accessories for current owners including the playfield, ramp, plastic keychains, manuals, translites, flyers, power supply, and Rudy. The goal of the game is to progress the game time to midnight and cause the FunHouse to close, allowing the multiball action to begin.